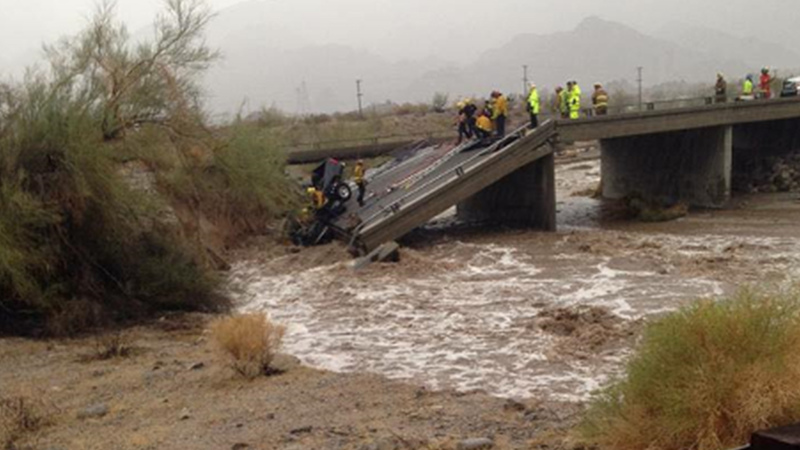 DESERT CENTER, Calif. -- A 30-foot section of a bridge above the 10 Freeway in Desert Center east of Coachella collapsed Sunday, trapping a truck driver. 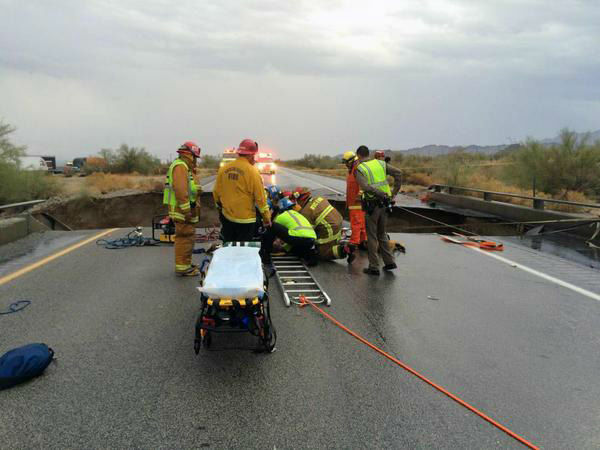 Firefighters responded at about 4:40 p.m. to the eastbound 10 Freeway east of Eagle Mountain Road to rescue the driver, Riverside County fire officials said. 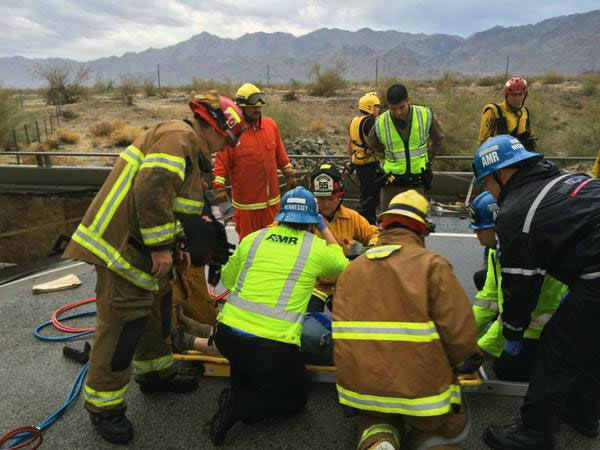 The driver was freed after nearly two hours and taken to Desert Regional Medical Center in Palm Springs with moderate injuries. 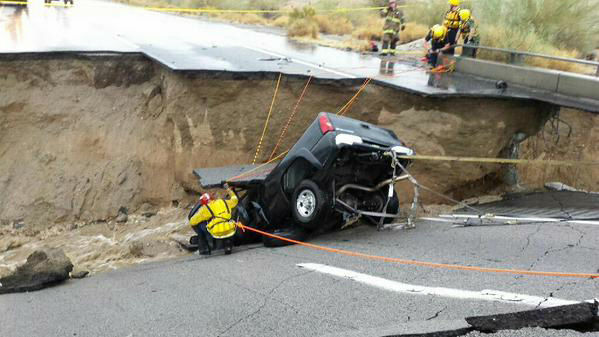 A passenger made it out earlier in the day. 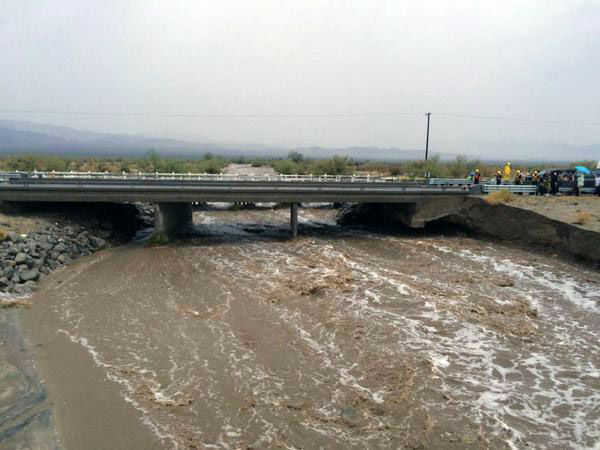 Those traveling from Arizona should take US-95 to Interstate 40.